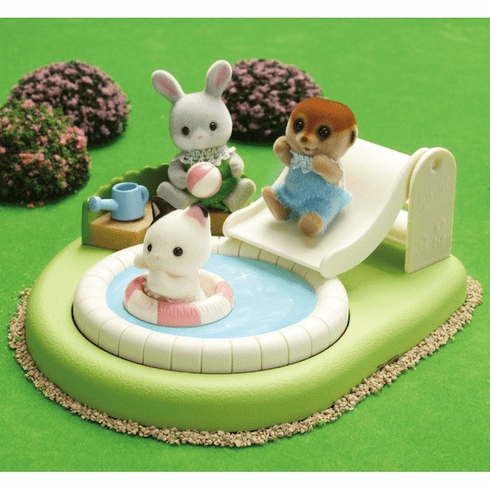 Critter babies enjoy having fun in the sun! Flip the pool over to reveal the sandbox. 2-in-1 fun! Reversible sandbox and pool Includes play area with slide & stairs, pool with swim tube, sandbox with sand castle stand, bench, sand castle, bucket, shovel, 5 scoops of sand, beach ball, and watering can. Critters not included.